The Czech Republic has its own pioneer of abstract art — František Kupka — who stands beside artists such as Wassily Kandinsky or Piet Mondrian. But František Kupka’s contributions often remain neglected in an international context. 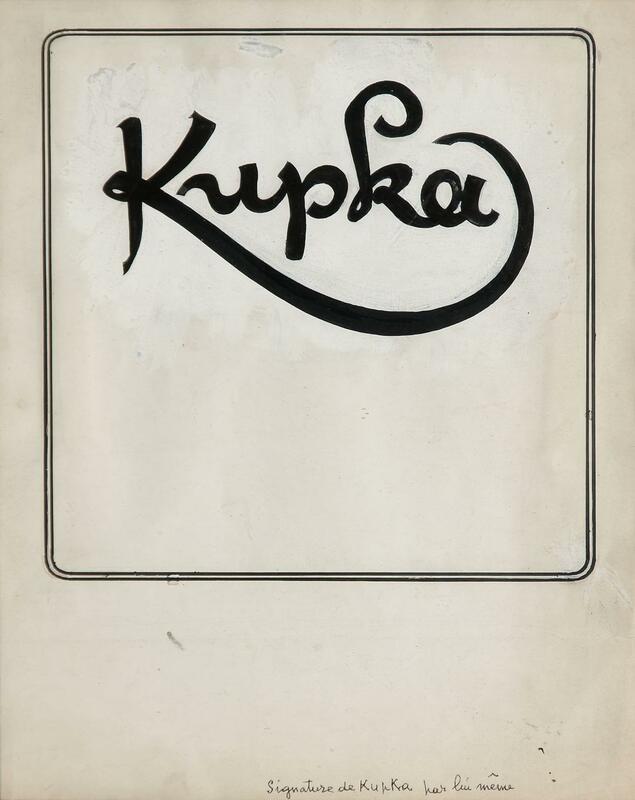 Kupka’s irreplaceable role as a pioneer of abstract art is currently highlighted by the Grand Palais in Paris in a retrospective exhibition which includes three works from the collection of The Pudil Family Foundation: Study for 'Pleasures' (1901), Signum (1907) and Battalian of Legionnaires (1918). The exhibition was prepared by curator Brigitte Leal and art historians Markéta Theinhardt and Pierre Brullé. František Kupka, Signum, 1907, ink on paper, 39,2 x 33,1 cm. František Kupka was born in 1871 in Opočno. He studied devotional painting at the Academy of Fine Arts in Prague, and later at the Vienna Academy, from where he was sent to the École des Beaux-Arts in Paris. Aside from painting, he devoted himself to illustrating newspapers and books, graphics and poster design. 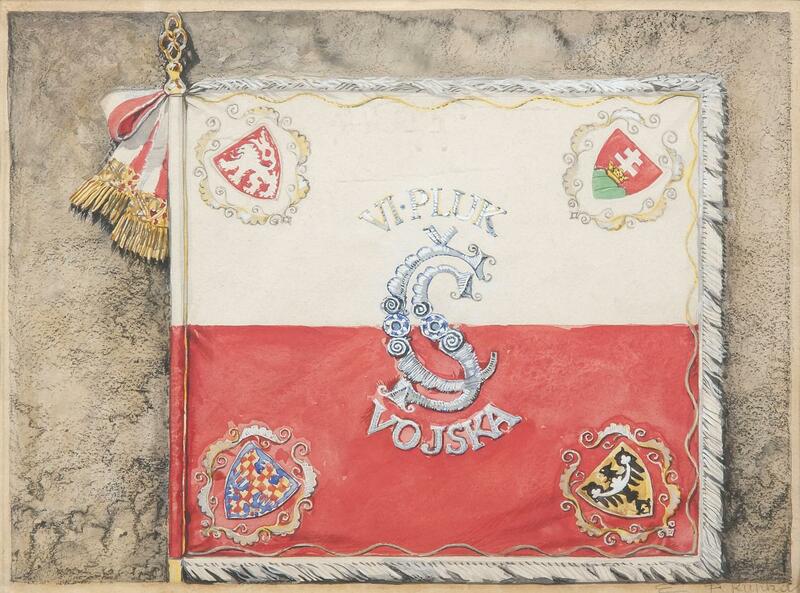 In 1914, he voluntarily enlisted in the army and helped organise the Czechoslovak Legion in France, for which he created patriotic flag designs, including the refined drawing Battalian of Legionnaires (1918). Some of the flags Kupka designed are used in ceremonial occasions to this day. After the war, he moved to France and spent a large part of his life in the Parisian suburb of Puteaux, where he also died in 1957. It is therefore understandable that, more than 60 years after his death, Paris would want to commemorate this genius abstract painter. An example of Kupka’s early work, in which he was still dedicated to traditional figuration, is the preparatory drawing with the title Study for 'Pleasures' (1901), for his breakthrough painting Ballad (Pleasures of Life) (1901-1902), which is part of the collection of the National Gallery in Prague. 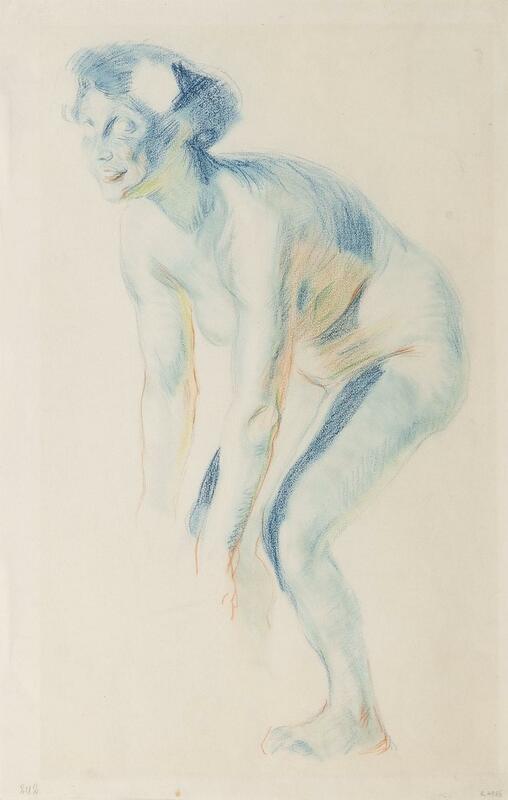 The drawing portrays the naked body of Kupka’s lover Gabrielle in blue and yellow pastel on paper, which Kupka used to explore the effects of light and shadows. Kupka thus captured a fleeting moment of sensory experience, which was an important inspiration for him in that period. František Kupka, Battalian of Legionnaires, 1918, watercolour on paper, 20,3 x 27,5 cm. František Kupka, Study for 'Pleasures', 1901, colour pencils on paper, 44 x 28 cm. the calligraphic expression of the artist himself, and it is with this importance that it opens and introduces visitors to the exhibition in the Grand Palais. In five parts, the exhibition takes visitors through not only Kupka’s life, but also various phases of his artistic career. Works will be available for viewing ranging from graphics, illustrations and paintings in the styles of traditional figuration, symbolism, expressionism, fauvism and futurism, up to his favorite abstract artworks. The exhibition runs from 21 March to 30 July 2018, and will be accompanied by commented tours, lectures, film screenings and family workshops. The exhibition will move to the National Gallery in Prague in the fall.